This folding wooden clothes horse makes a great toy for children who like to copy mum and dad carrying out domestic chores. It’s perfect for hanging up dolls’ outfits to dry on the cords and is sure to inspire hours of creative play and keep little ones busy while their parents are sorting out the household laundry for real. 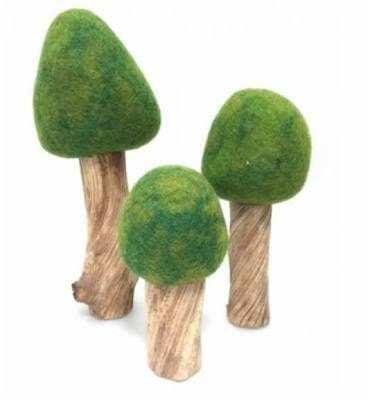 This solid toy is made from FSC wood and has a natural finish. 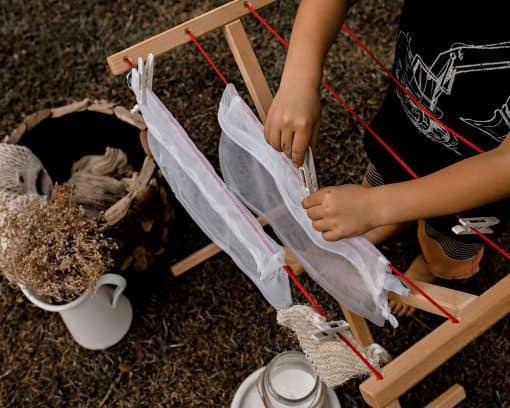 Children love to imitate the domestic jobs they see their parents do and this wooden iron is a fantastic toy for kids who want to play ‘house’. 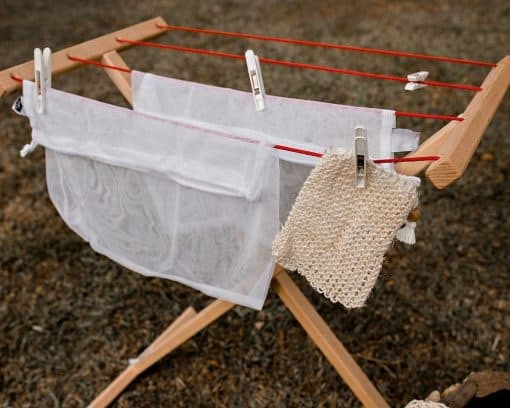 This wooden toy clothes horse will be a hit in Montessori nurseries and play settings where children are encouraged to play with items from the home, learning through play skills that they will later need as adults. 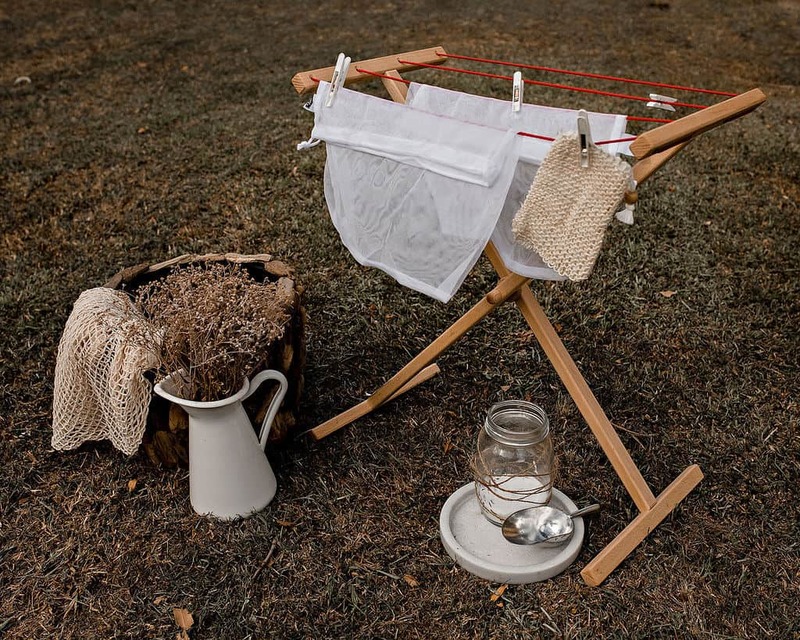 This clothes horse measures 80cm x 32cm x 4cm. Suitable from age 3+. 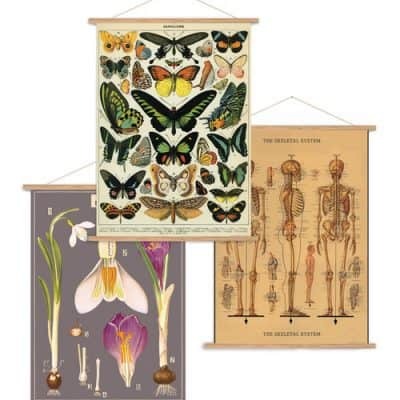 NB: items shown hanging from the clothes horse in the picture are not included. 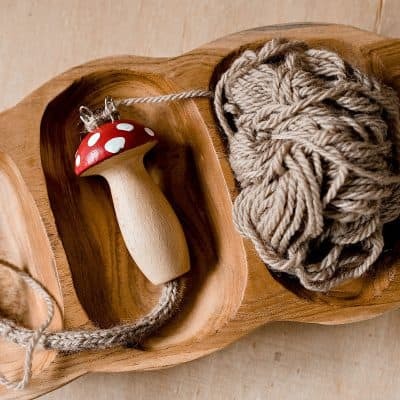 Timeless toy designs made from natural materials and waterbased colour stains that allow the grain of the wood to show through increasing the feeling of connection to the natural world. Glückskäfer work with midwifes and child educators to help design their toys and have a strong focus on early child development. 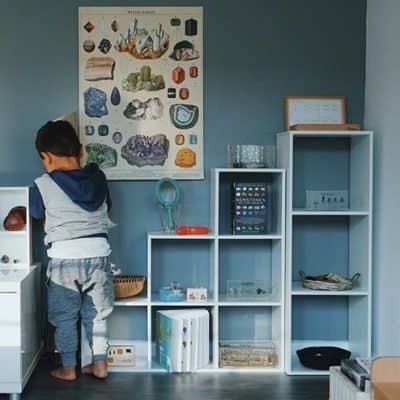 Materials are carefully chosen to be environmentally friendly and tactile. We love the beautiful colours and classic styles.